When you look at your pictures do they lack a little punch? It's not that your kids aren't adorable or your camera isn't top of the line, but these photos could use a little boost. From design to editing, a professional in your pocket can make your photos and photo projects shine. Check out Zazzle by Krome Photos. Think of Krome Photos as your personal photo concierge. With every upload, you’ll get a professional photo editor or designer who is trained and equipped to make your photo product great. Combine that with the power of Zazzle's custom printing technology, and you are guaranteed to receive the highest quality photo product possible. To win: One custom iPhone Case To give: One custom iPhone Case Overview of the Custom iPhone Case: - Compatible with iPhone 5, 4s, and 4 on Sprint, Verizon and AT&T. 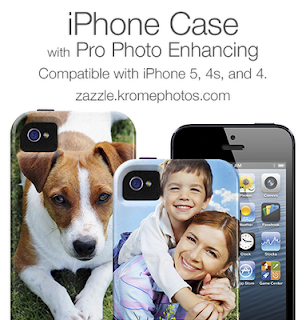 - Customize your iPhone case with a photo. - Choose from the Barely There or Vibe case. - Includes photo enhancing by a Krome Photos professional editor. - Use our easy annotation tool to write your enhancing requests directly on the photo. - 100% satisfaction guaranteed. The Giveaway will open up on Monday 12/3 at 10 pm EST and Close on Friday 12/7 at 11:59 pm EST. 3. Click on this link and find the easy entry word(s). Copy/Paste it in the Entry Form below. 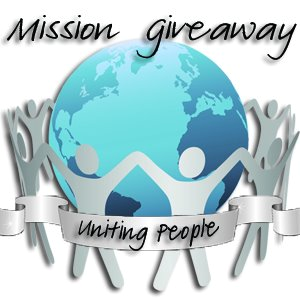 Leave a Comment...scroll down and leave a comment on this page.